Many of Scotland’s biggest onshore wind farms are being paid tens of millions of pounds for producing virtually no energy at certain times. According to figures received by Energy Voice, the cost of paying wind farm operators to power down in order to prevent the generation of excess energy is stacking up with more than £300million paid out since 2010. In 2016 alone, Scottish onshore wind farms received £69million in constraint payments for limiting 1,048,890MWh worth of energy. By August 2017, the bill had already reached in excess of £55million in payments for 800,000MWh. According to Renewable Energy Foundation (REF) data, no constraint payments have been paid to a single English wind farm and only one Welsh project has received money since 2010. Constraints payments are amounts paid to energy providers when there is an excess of energy being supplied to the grid. Often, due to the inefficiency of Scotland’s grid system and the remoteness of many wind farms, the energy they generate cannot then be transported elsewhere and practical battery storage systems don’t yet exist. The ScottishPower-Renewables-owned Whitelee wind farm in East Ayrshire has received almost £20million over the last two years. If the Whitelee Extension is considered, then the total jumps to £27.8million over 2016/17. Since 2010, the Whitelee project as a whole has been paid a total of more than £73million in constraint payments. 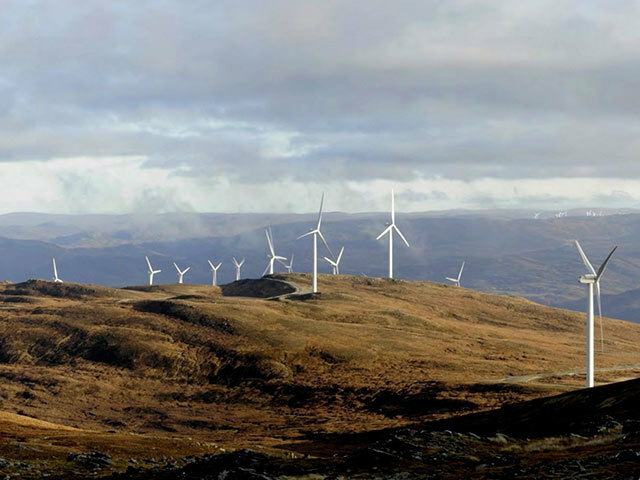 Figures received from the REF show that since 2010 windfarms such as EDF-Renewables’s Fallago Rig in the Scottish Borders has received £21.8million, while the SSE and Greencoat UK owned Clyde project has received £39.5million. Asked about these amounts, John Constable of REF said: “We know that there are mismatches between Scottish demand and the output of wind power because so much of it is constrained off. The fact also tells us that the export links are insufficient. Mr Constable also asserts that the amount of constraint payments paid to wind generators is by far in excess of what has been paid to other conventional energy suppliers in the past. Using figures from 2011, the REF website states: “What has become clear since 2010 is that the amount charged by wind farms is very significantly in excess of the value of the subsidies foregone. A spokesperson for ScottishPower Renewables said: “We don’t want to be constrained, but we must comply when National Grid instructs us to reduce output to help manage the electricity system. To manage the flows of electricity to homes and businesses, National Grid can ask any electricity generator to change their output, not just wind farms. This happens many times every day, and has done for many years. National Grid said: “National Grid balances the country’s demand and supply of electricity minute by minute, and it also transports electricity from where it is generated to where it is needed. As part of its role, it can ask generators to come on or off the grid to manage constraints and keep the system balanced.